Triglycerides are a type of fat circulating in the blood that provides energy to the body, according to the Mayo Clinic. Too much triglyceride in the blood can cause hardening of the arteries or atherosclerosis, which increases the risk of heart disease or strokes. Herbs to lower triglyceride levels include guggul, red yeast rice and artichoke leaf extract. Always ask your doctor about these kinds of remedies, rather than to self-medicate for a condition as serious as hypertriglyceridemia. Guggul (Commiphora mukul) is a natural substance derived from the mukul myrrh tree. It's an herb used in traditional Ayurvedic medicine to treat a variety of health conditions, primarily arthritis. According to the Physician's Desk Reference (PDR) website, guggul is an herbal medicine used to lower triglycerides as well as cholesterol levels in the blood. Drugs.com notes that there is increased interest in investigating the ability of the extracts in this plant to reduce serum lipid levels since a commercial product, Guggulow, has been introduced in the United States with the claims that the plant lowers cholesterol. Guggul should not be taken by people with an allergy to any medications or over-the-counter product or supplement, during pregnancy or breast feeding, or in patients with heart or blood vessel disease or hypertension. Red yeast rice is made by the fermentation of Monascus purpureus, a type of yeast, over red rice. In China, red yeast rice is used for food and for medicinal purposes to lower cholesterol, for digestive problems and to improve blood circulation. According to a study reported by the University of Maryland Medical Center, participants who received red yeast rice showed significantly lower levels of total cholesterol, “bad” cholesterol or low-density lipoproteins (also called LDL), and triglycerides compared to those who were taking a placebo. High-density lipoprotein or HDL, also called “good” cholesterol, did not change in either group. The artichoke plant (Cyanara scolymus), is the source of artichoke leaf extract. Researchers have found that this herb has the ability to lower triglycerides and cholesterol. The compounds flavonoids and caffeeolyquinic acid are the active ingredients in the plant. Both have powerful antioxidant properties and support the liver in its function by helping to break down cholesterol and triglycerides into bile salts, and to regulate their production by the liver. 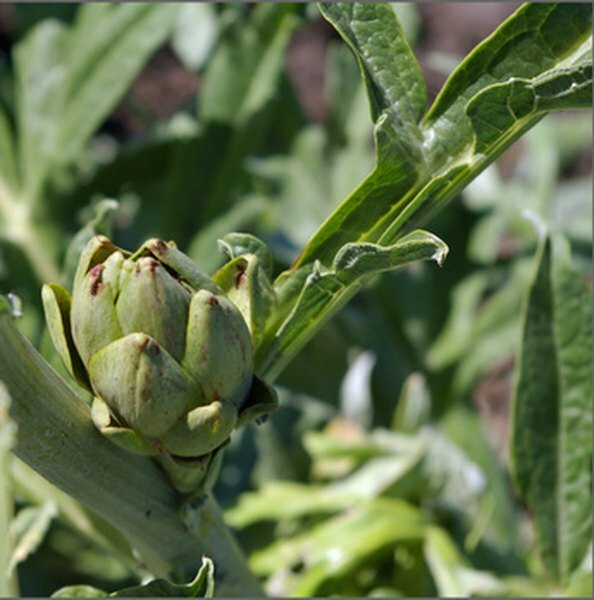 Before taking artichoke leaf extract, it’s important to consult a physician, since it may increase the level of bile production. People with gallstones or bile duct obstruction should not take artichoke supplements, nor should it be taken during pregnancy or while breast feeding.